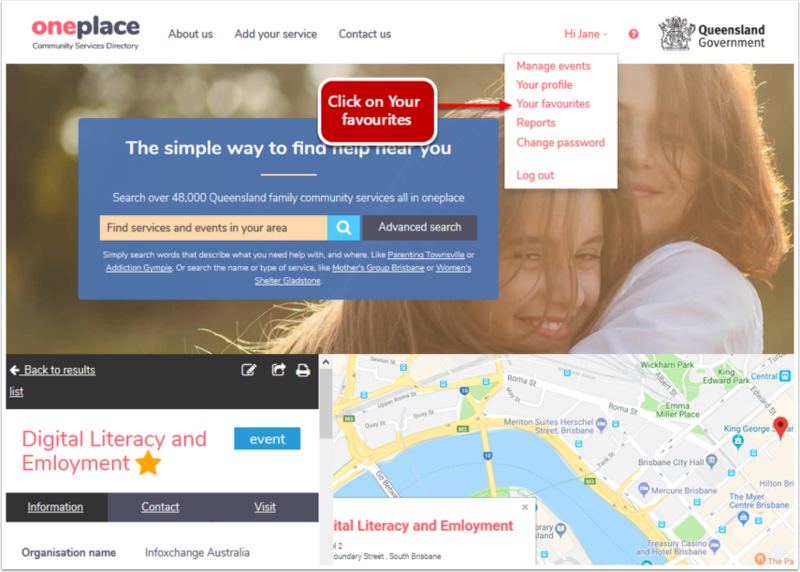 Logged in users of oneplace are able to edit services, sites, events and searches in their favourites. 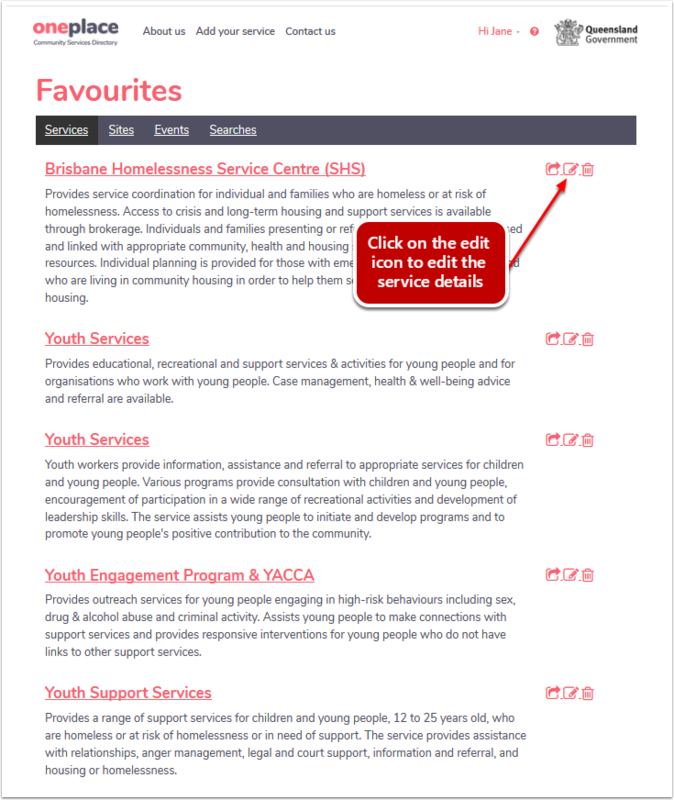 Click on the Services tab of your favourites. 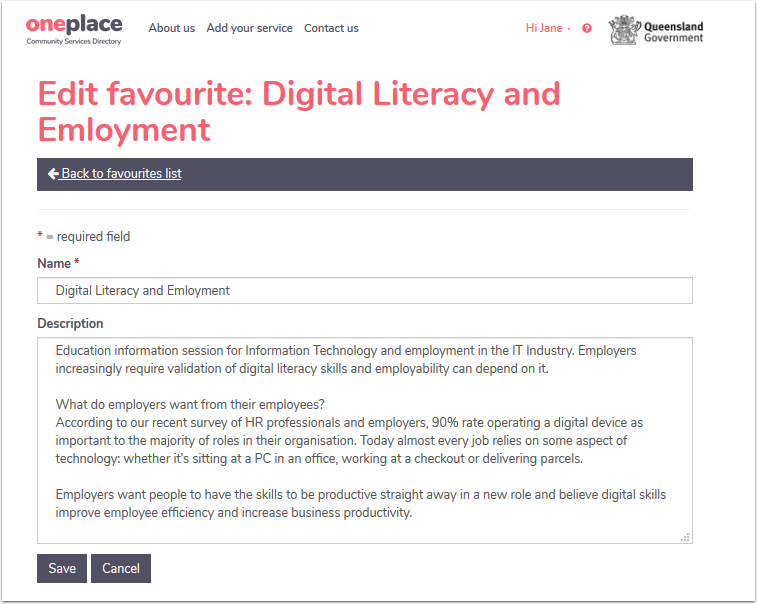 Click on the document & pen Edit icon next to the service you want to edit. 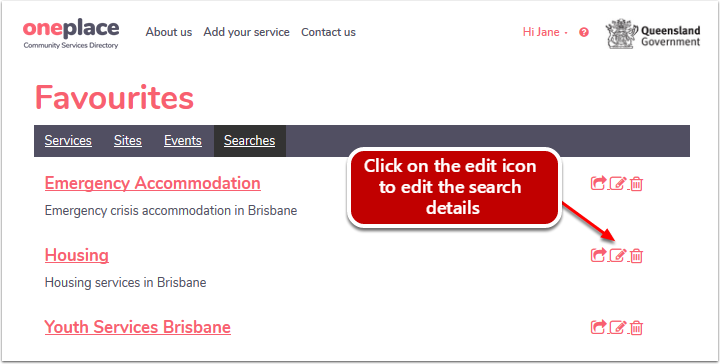 oneplace will allow you to edit the name and description of the favourite service. Please note that these changes will only be visible by you in your favourites area. Click on the Site tab of your favourites. 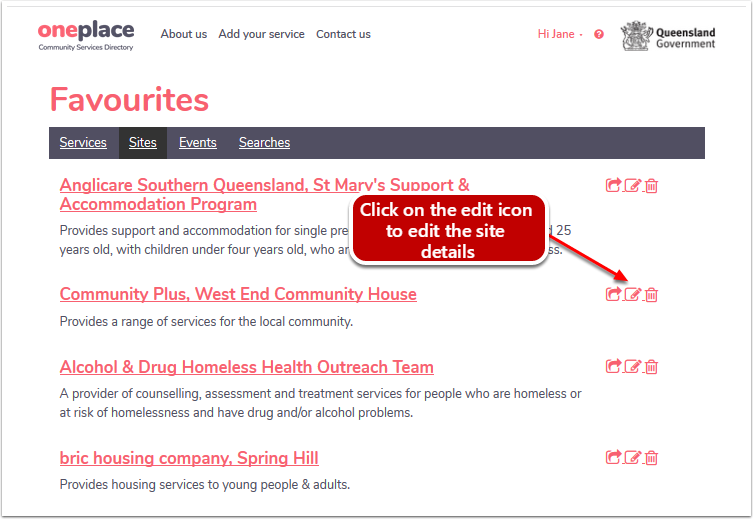 Click on the document & pen Edit icon next to the site you want to edit. 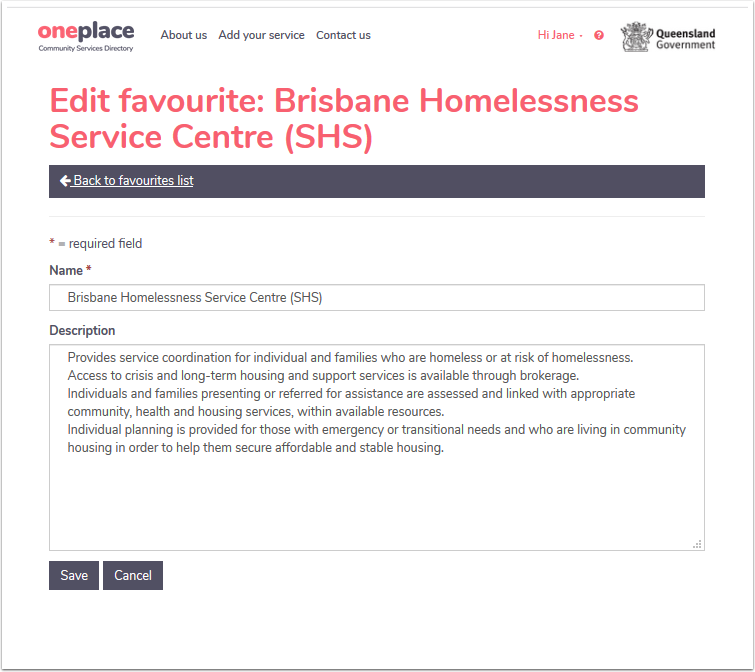 oneplace will allow you to edit the name and description of the favourite site. All logged in users of oneplace can edit the name and description of their saved favourite event. Only users that are members of the same site can edit the event itself. Please see the section about events for more information. Click on the document & pen Edit icon next to the event you want to edit. 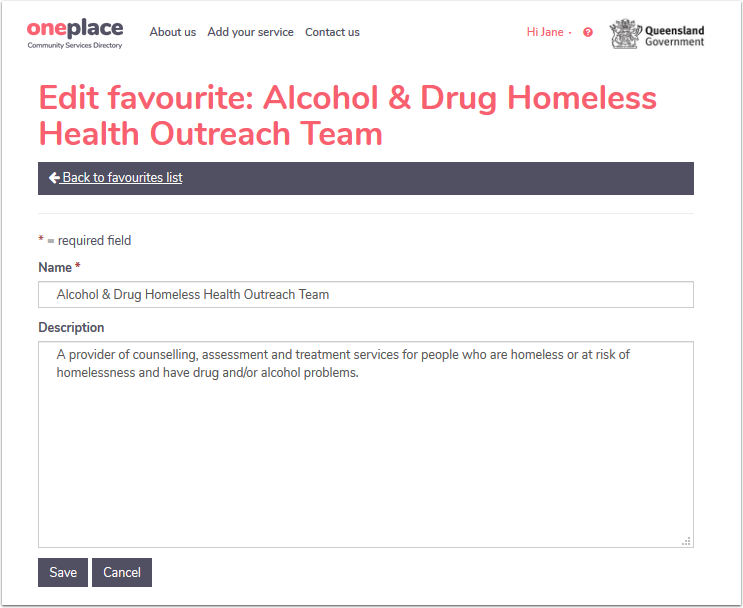 oneplace will allow you to edit the Name and Description of the saved favourite event. Click on the document & pen Edit icon next to the search you want to edit. 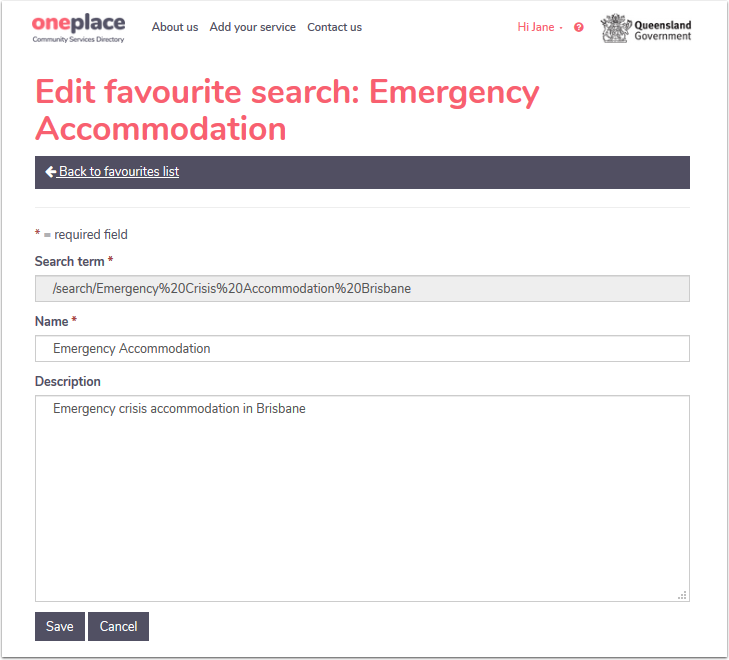 oneplace will allow you to edit the search term, name and description of the favourite search.